Remember the time when Yahoo!Mail was still support forwarding? Those were the golden days -being hyperbolic- I used to forward everything to my ISP mailbox, and downloaded all to my PC with Netscape Communicator. Then came the day when free Yahoo!Mail account didn’t support forwarding and POP3 anymore. That’s when GMail came up, a POP3 email server. But my Yahoo!Mail had been my primary email address for a long time, so changing my primary address to GMail is not very interesting to me. From that time on, I accessed my Yahoo!Mail by web, a real pain for me. And just 2 days ago I found this site about forwarding mails from Yahoo to Gmail accounts with the help of 2 free software: YPOPs and GetMail. YPOPs provides free POP3 and SMTP access to your Yahoo!Mail account, taking mails to your local host in your computer, and GetMail forwards them to GMail or any other web-based email accounts. I followed the tips, but maybe there was something wrong in my setting or something (this doesn’t happen to my friends), somehow GetMail couldn’t forward it and I keep got this error message. 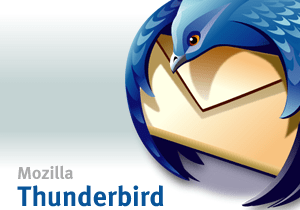 So, my friend gave me a short-cut: just use YPOPs and pour the mails directly to Thunderbird. Turns out that is what YPOPs all about. Stupid me. Now I can read my mails in Yahoo offline. For the settings, you can check this site.